Ok I a not crazy about spiders. I just hate them. 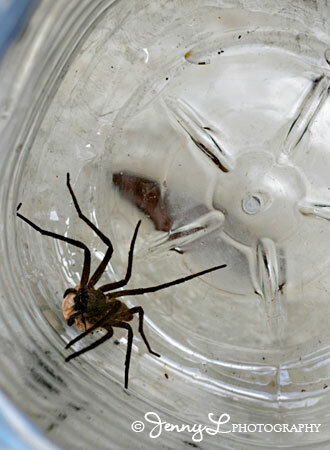 One day we saw this big and yucky spider at our place and with the looks of it it was about 4 or 5 inches. 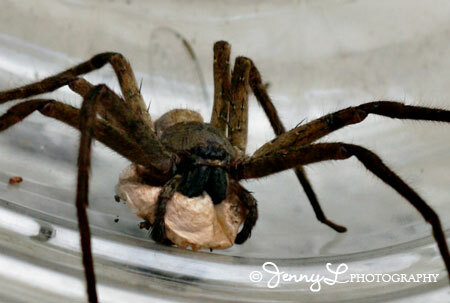 I am not sure what is the thing that it is holding and it must be sac for her eggs? Ewww.. This will really freak me out.